We have a small railway museum building in the base of the old quarry with an arrangement of standard gauge railway sidings, as well as a short section of narrow gauge track. This will allow railway vehicles, with an historic connection to the Mountsorrel Railway, to be displayed to the public under cover, as the ravages of the UK weather quickly take their toll. The most notable of these is steam locomotive ‘Elizabeth’ which is the only surviving steam locomotive from the Mountsorrel Railway. We look forward to being able to bring her home for the public to see. 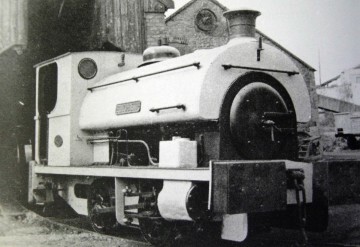 The “Wickham” was be the first engine to take up residence at the museum. You can read about the background and restoration of Wickham 7595 here. Our three restored Mountsorrel Granite wagons arrived in June 2016, and, more recently, we have taken delivery of a former Bardon Hill quarry Ruston & Hornsby 48DS diesel locomotive and a yellow mineral wagon, both of which are part of the Leicestershire County Council collection and were formerly based at Snibston Discovery Museum. On loan they will be used for shunting demonstration in and around Nunckley Hill quarry. We have two further wagons awaiting restoration. The construction of the museum has been funded by a grant from Tarmac’s Landfill Community Fund together with match funding donations from the public.